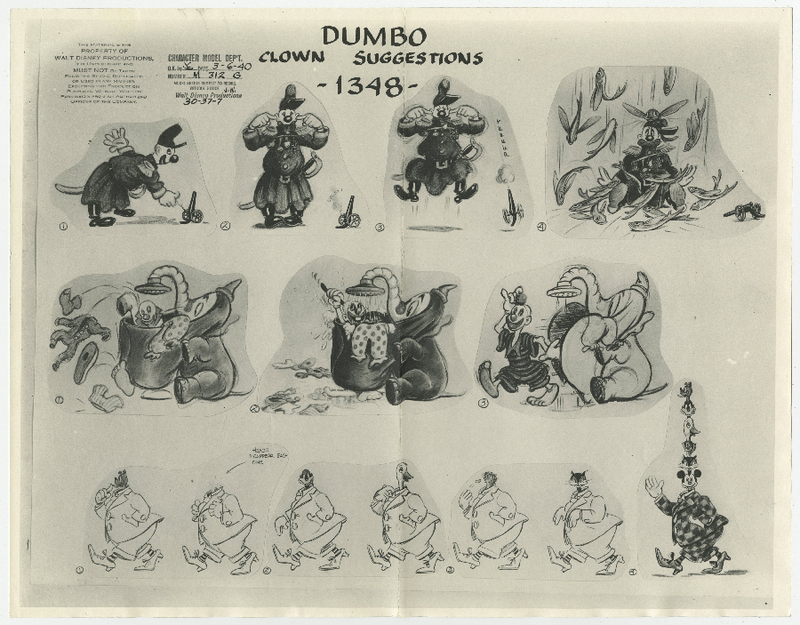 This is an original photostat model sheet from the Walt Disney Studios production Dumbo (1941). 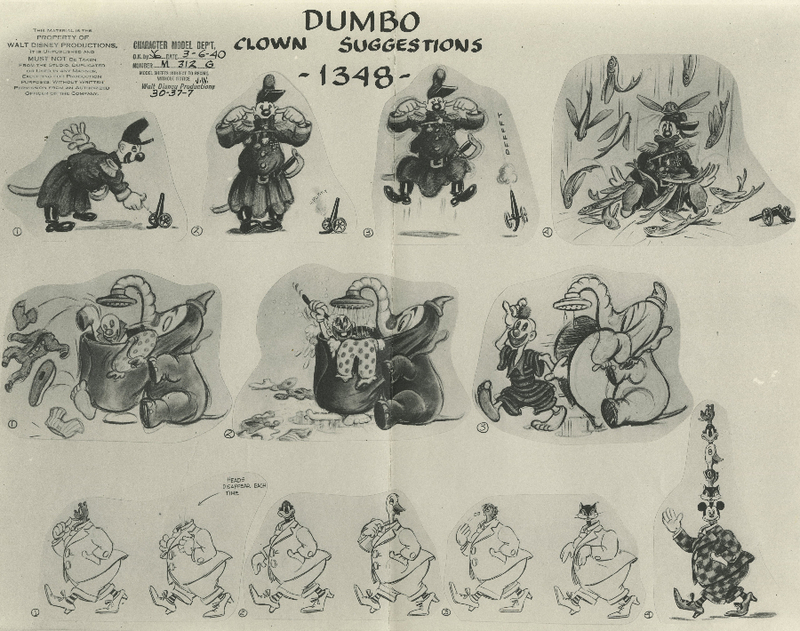 This model sheet features a variety of clown gags including a little image of Mickey Mouse, and was created at the studio and used by animators during production to ensure consistent character design. The sheet measures 11" x 14" overall and is in very good condition with a vertical crease down the center of the sheet and minor edge wear.